It’s possible, fairly easy too. I am running Visual Studio 2013. Highlight Web project from your Solution Explorer. The first you run the web application, you will be shown a warning message that you run on SSL. 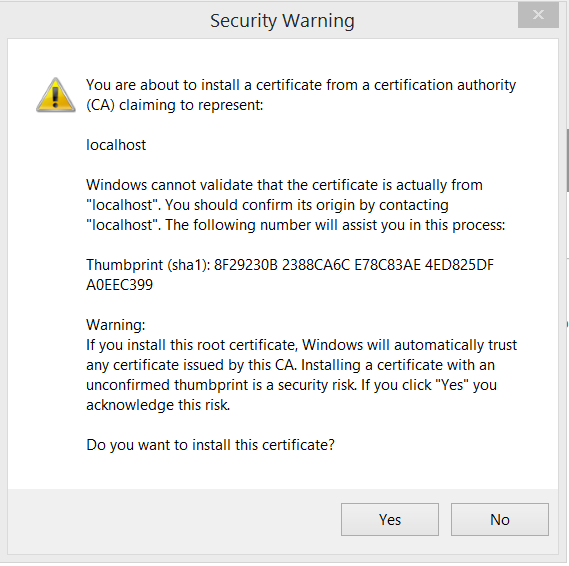 Then, Security Warning message to install certificate, just “Yes” it out. You can now browse to HTTPS of the web app by clicking on the IIS Express. The port of HTTPS address may be different than non-SSL. Your browser may show untrusted SSL certificate. If you prefer trusted SSL certificate, you can generate this yourself. 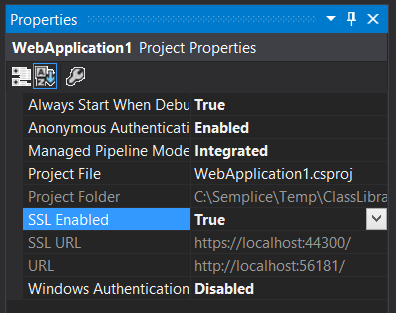 How to Create Valid and Trusted SSL Certificate (Wildcard) for Development. For configuring IIS-hosted WCF to run on SSL, see Configure IIS-Hosted WCF to Run On SSL. In Java world (yes, I know, there is such world ostensibly …), there’s a templating framework called Tiles. It’s basically an open source framework to help developers build View part of the MV* (* = whatever). Tiles uses Composite pattern, much like what you see in ASP.NET MVC. The other side of the coin is Decorator pattern. SiteMesh is an example of Decorator pattern, it is also a Java open source template framework to build View. 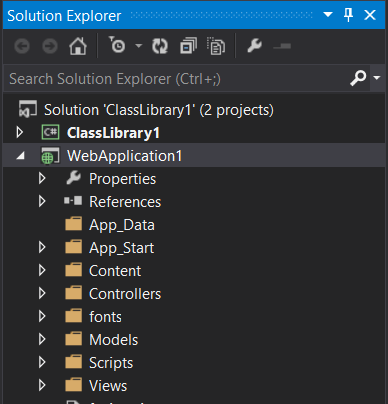 In .Net world, SiteMesh is equivalent to classic ASP’s master page concept. Both Composite and Decorator break layout to smaller components (or sections), such as Header, Menu, Content and Footer. Each of these components is built on separate page (.jsp file in the case of Java). When the page is requested, it will take all needed components and put them together as a page. The difference between Composite and Decorator is on the way the page is constructed. Composite allows the children components to define what’s needed. For example, when you load a Contact page, you tell the framework that the main component to load is Contact. The framework knows Contact component needs Header, Content and Footer components. It will then load all the dependencies components, stick them into Contact component. The page is complete and returned to user. Decorator, on the other hand, relies on the parent (or master page) to define what’s needed for a page. Taken from Contact page example above, Decorator will first see which parent component the Contact is using, then call the parent component. From there, it knows the parent’s dependencies, construct the parent component along with its dependencies, then stick the Contact component into parent component where it belongs. In this case, the parent component also define where the main component should be placed. More differences from Tiles project site. Reusability The different parts of the page (template and pieces) can be reused across the whole application. Each decorator can be reused, but the decoration itself can be applied to one page at a time. Ease of configuration Each page must be defined explicitly. The decorator can be applied even to the entire application. Runtime configuration The pages can be configured and organized at runtime Since one page is decorated at a time, this feature is not present. Performances Low overhead for composition. The page to be decorated has to be parsed. That’s not to say Composite doesn’t have any problem, I just haven’t come across one. If you haven’t already, go learn unit testing and write testable code. I promise you, your code will look much better and engineer-like. And not just the look, more importantly it reflects into your application, more robust, higher quality, SOLID. If that’s not enough, it even reflects into yourself and your career, you look more professional and not some ‘just make it work’ developers. Good guys (and smart, of course) at Google provide easy to understand and simple to follow guide for testable code. How would you write a Substring function for an Integer? All part of the systems see the same data. A guarantee that each request receives a response regardless of success / failure. The whole system continue to work despite disconnection, message loss or any failure in the subsystems. Eric Brewer said that a distributed computer system can only have 2 out of these 3 functions at a time.